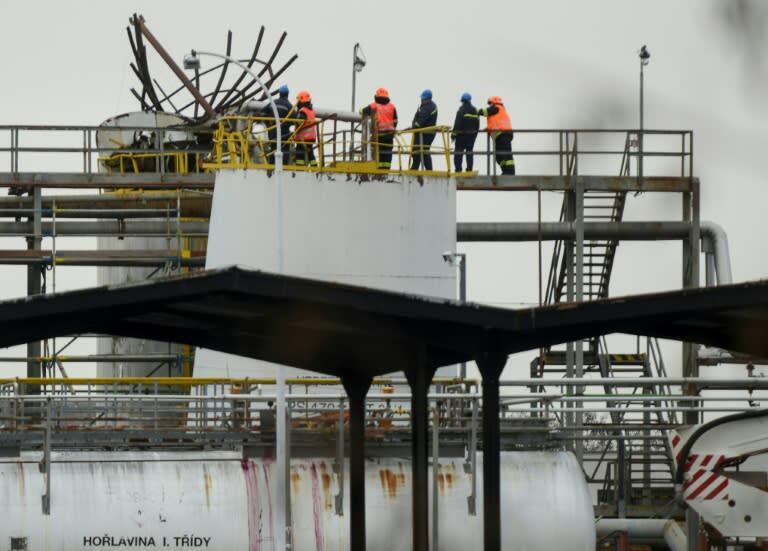 Five of the six people killed in an explosion at a chemical plant in the northern Czech Republic were Romanians, Bucharest said Friday. "The number of Romanian nationals killed in the tragedy has risen to five," the Romanian foreign ministry said. The incident on Thursday in Kralupy-nad-Vltavou, 30 kilometres (20 miles) north of Prague, was the Czech Republic's deadliest industrial accident since Czechoslovakia split in 1993. The nationality of the sixth person killed has not been announced. Two people were also hospitalised, one with "devastating facial injuries" and the other with "10-percent burns", Czech emergency services said. The plant is part of a refinery complex owned by Czech chemicals group Unipetrol, majority controlled by Poland's PKN. The victims were working for a contractor. The explosion occurred while the reservoir was being cleaned, emergency services said. There was no fire and the situation was brought under control, with authorities saying there was no health risk for local residents.